I'm not sure how - but we're already halfway through July! It's going to be fall before we know it... And you know what that means? Time to start thinking about how you want to update your wardrobe for fall! And that includes shoes! I was recently given the opportunity to test out these beautiful black leather boots from Luichiny Shoes! These boots are made of gorgeous leather and have a nice sort of rugged feel to them. Sort of like motorcycle boots but without as much of an edge! Though they are said to be black, the boots are a slightly lighter color - more like a charcoal. 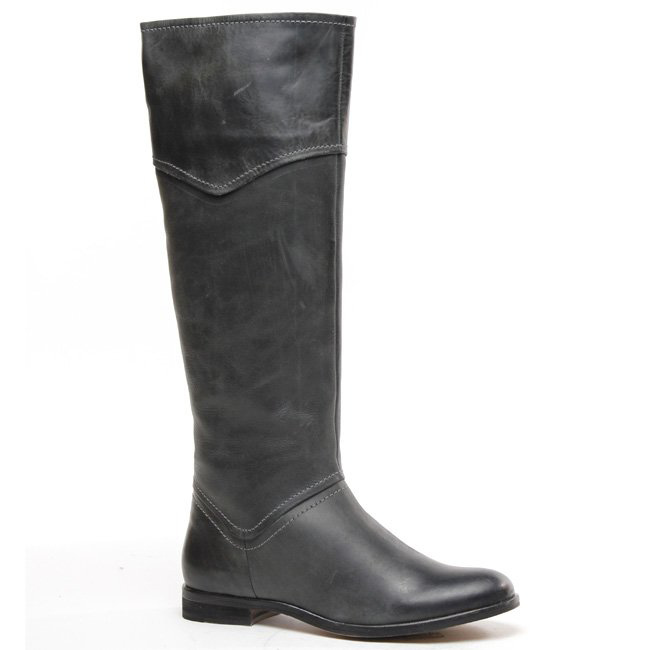 The boots are matte (not shiny) and are perfect with jeans, skirts, you name it! They are a pull on boot with a zipper on the inside to ease in putting them on and taking them off. I really like these boots because they are slim fitting towards the top. There is still a little bit of room around the calf but they aren't super wide. I have small to average sized calves and I find many boots tend to gape in this area. Thankfully these fit close to the leg but still with enough room to fit around your jeans or leggings. The soles of the boots are leather as well. They have a 3/4 inch heel and the boots are 15 1/2 inch high. The boots are true to size and come in half sizes 5 -11 in black or brown.
" A regular participant in industry trade shows, throughout the world, Luichiny® draws large crowds of the top retail buyers to view and purchase its trendsetting, eye-catching designs. As one of the planet’s hottest shoe brands Luichiny® has become a fixture on red carpets, on the pages of elite fashion magazines and in the world’s top footwear and fashion blogs." Verdict: When it comes to boots - I want them to be classic, stylish and above all: comfortable! These boots fit the bill and more! If you want a nice pair of shoes that feel great and look fierce - you have to try Luichiny!